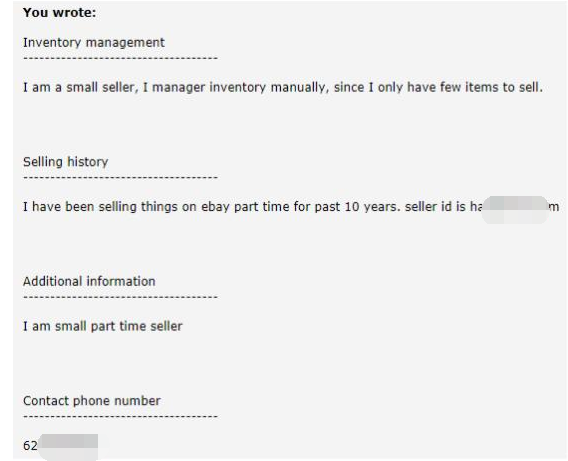 I am a small seller, I manage inventory manually, since I only have few items to sell. 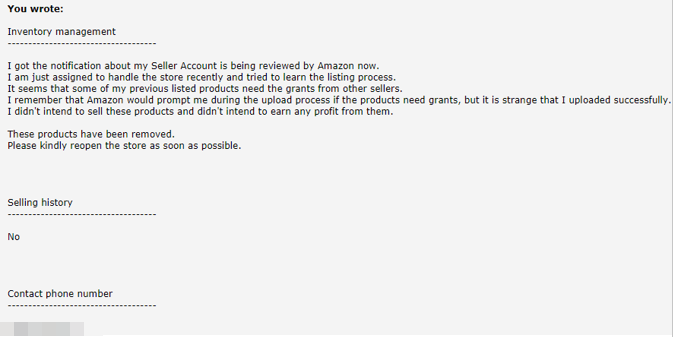 I got the notification about my Seller Account is being reviewed by Amazon now. I am just assigned to handle the store recently and tried to learn the listing process（可以強調自己是新來的，無心違反政策）It seems that some of my previous listed products need the grants from other sellers. I remember that Amazon would prompt me during the upload process if the products need grants, but it is strange that I uploaded successfully. I didn’t intend to sell these products and didn’t intend to earn any profit from them. These products have been removed. Please kindly reopen the store as soon as possible. 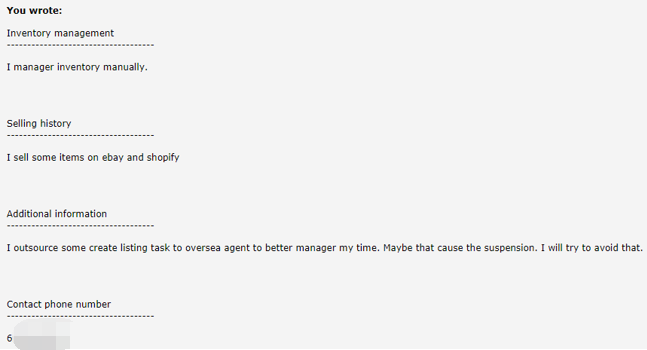 I outsource some create listing task to oversea agent to better manage my time. Maybe that cause the suspension. I will try to avoid that.